Inside of the ankle bones and ligaments that stretch across the foot is a narrow canal space referred to as the tarsal tunnel. This canal houses and protects the many nerves, veins, tendons and arteries that control foot movement. When one or more of the nerves are compressed inside of the canal, the condition is known as tarsal tunnel syndrome. Dr. Kennedy Legel has worked with many patients suffering from this type of ankle pain. If conservative, non-surgical treatments do not alleviate the pain then ankle surgery may be recommended. The most common surgical procedure is tarsal tunnel release in which the nerves are released from the compression. Our team is very proficient in this type of surgery. 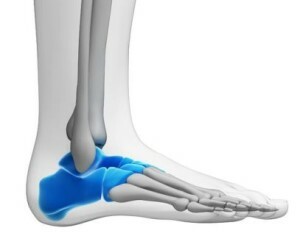 To schedule a tarsal tunnel examination and appointment with Dr. Legel, please contact us online or call our Dallas foot and ankle care clinic at (214) 366-4600.